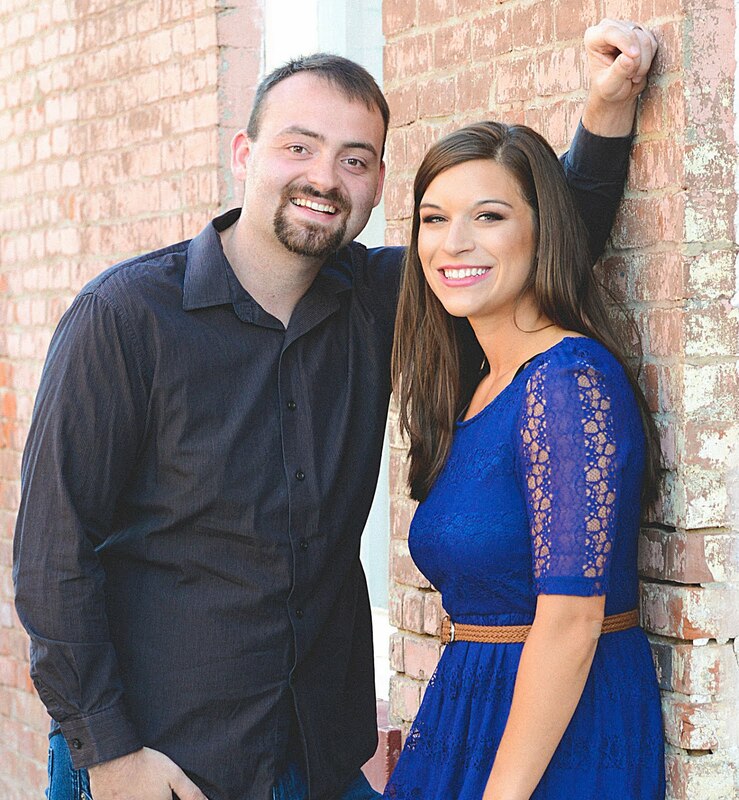 When Aaron and I planned our 16-day adventure through Europe, I had no doubt that Paris would be one of the stops. Since high school, I had dreamed of visiting France and its delicious food, amazing culture, and priceless history. 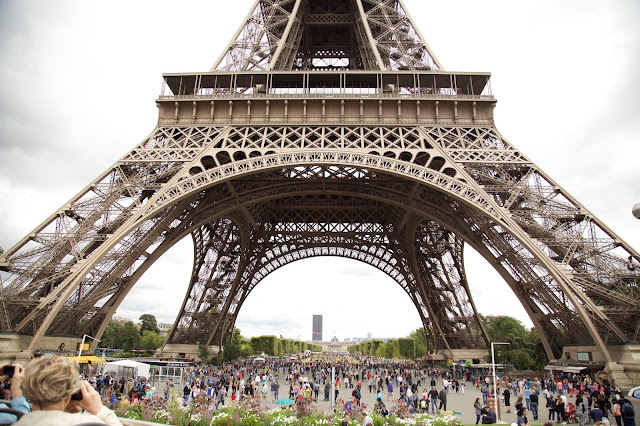 Although we moved around Europe pretty quickly, we committed a couple of days to Paris. Follow this guide to fit in the major Parisian attractions in a short visit and on a limited budget. We started our adventure in Dublin and visited London before arriving in Paris, so we flew into Charles de Gaulle Airport. If you fly into the city like we did, you'll need to take the RER train into Paris. Buy your tickets at the airport, and keep in mind that the last RER train for the evening leaves from the airport at 11:50 p.m.
Find some helpful tips for navigating the train on this site. If you're planning to travel in or out of Paris by train, your best bet is to use Rail Europe. We left Paris through Gare de Lyon and took the train to Geneva, Switzerland. After pricing things out carefully, Aaron and I ended up going with the Paris Pass for our stint in the city. Given our transportation needs and our itinerary, the pass was a no-brainer! It includes unlimited travel throughout the city on the metro, RER, and buses. It also saves you time by offering quick entry to major attractions. We purchased the two-day pass, so the only other transportation we paid for was the train from the airport and our visit to Versailles. Use Wi-Fi to download the Paris Metro app ahead of time, because the map is so helpful as you navigate through the city. Paris has enough attractions to keep you busy for weeks, but we only had a couple of days. In addition to granting us entry to the main attractions, the Paris Pass also included the Paris Big Bus Tour. 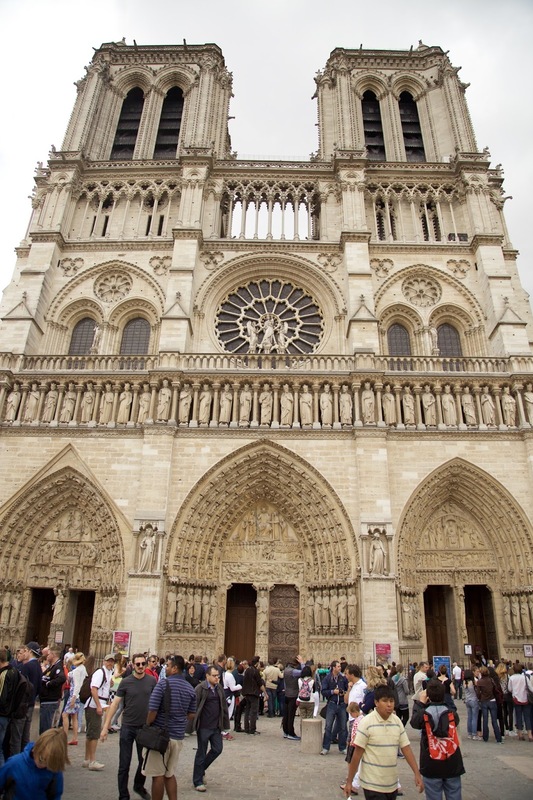 We would recommend this hop on, hop off tour, which provides information about sights like the Arc de Triomphe, the Louvre, the Notre Dame, the Champs-Élysées, the Grand Palais, and more. The bus runs from 9:15 a.m. to 6 p.m., and we found it to be the perfect way to see the essential attractions quickly without killing our feet. We timed our bus stops so that we ended near the Moulin Rouge and the Sacré-Coeur. Then we took the Petit Train du Montmarte around the area before fitting in a quick wine tasting. We also got to see a gorgeous view of the Parisian sunset on the Bateaux Parisiens River Cruise, which the pass also includes. The cruise starts near the Eiffel Tower, which was perfect because the tower sparkles on the hour until around 1 a.m. Be careful of scammers in the area! 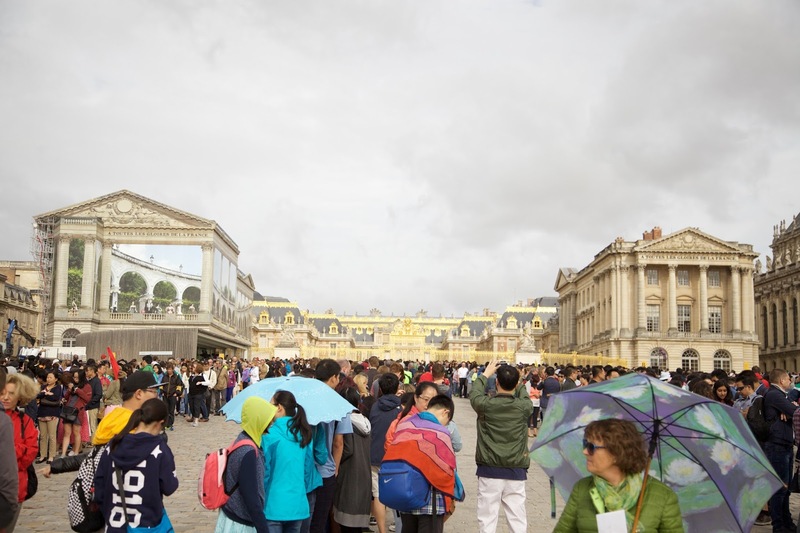 We didn't feel like we could visit Paris without seeing the Palace of Versailles, so we took a commuter train out of the city and visited the palace and its musical gardens on my birthday. The palace was beautiful but packed. Be sure to get there early, as the line winds around for what seems like miles. We stayed in a hotel near the Gare de l'Est train station. It wasn't the most fabulous area, but hotels in Paris can be pretty expensive, depending on where you stay. To find some great deals in good parts of town, check out these options in Paris! 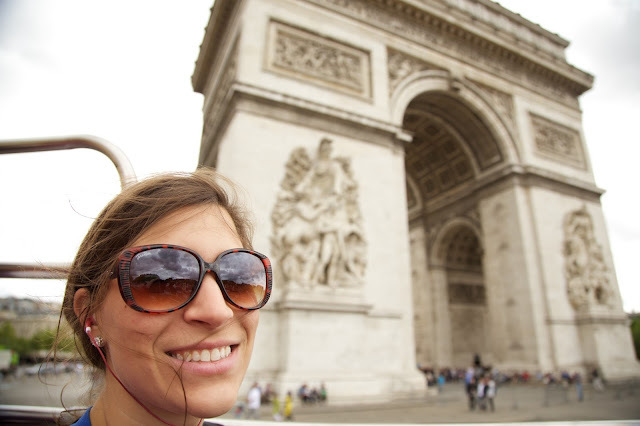 To make the most of your visit, consider staying in the Champs-Élysées area or the more central arrondissements. You should also be aware that not every Parisian hotel has air conditioning. We were there in July, and it really wasn't bad. We just slept with our windows open. All in all, Paris was pretty fabulous. Although it's a huge city with a ton to do, you can visit all the main attractions like the Louvre, the Notre Dame, Versailles, and more in just a couple of days. If you're going to be visiting several museums and attractions throughout the city and you could use the unlimited transportation, then be sure to use the Paris Pass to make life easier. It's worth the cost! This is such a great guide! I have been DYING to take my husband to Paris. Maybe next year! Thanks, Jessica! You guys should definitely make it happen! Thanks, Abbey! It definitely made things a lot easier for us. This makes me so excited!!! I'll be in Paris for New Years and Christmas. We are actually headed to Ireland tomorrow, then back to NYC then off to Paris, Reims, Colmar, Dijon then Geneva. I had heard about the Paris Pass months ago but forgot about it. Do you think it is worth purchasing for 7 days? Or would you just purchase it for like 4 of the 7 days? Any tips would be greatly appreciated!!! I hope you had a fabulous time there! I purchased it for only a chunk, but we weren't there long enough to do any longer! Ah, I miss Paris! We did the city pass too and it was a great deal for our short time there. I usually will look up city passes before I buy tickets to any major attractions. It usually ends up being the best deal! I miss it too! The pass was definitely the best deal for us! Thanks, Valerie! I agree- it is pricey but doable! We spent 3 days there in September! We stayed in the Champs-Élysées area. 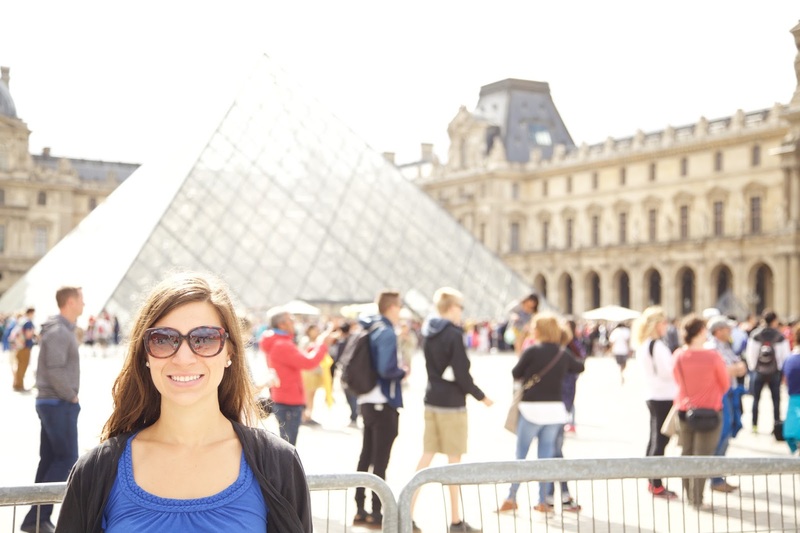 We visited the Eiffel tower, Louvre, Notre Dame, and did that same sightseeing boat tour as you! The only thing I had hoped to do but we didn't have time for was Versailles. Maybe we'll be back someday! Oh so fun! I would love to have stayed in that area! Versailles was awesome! 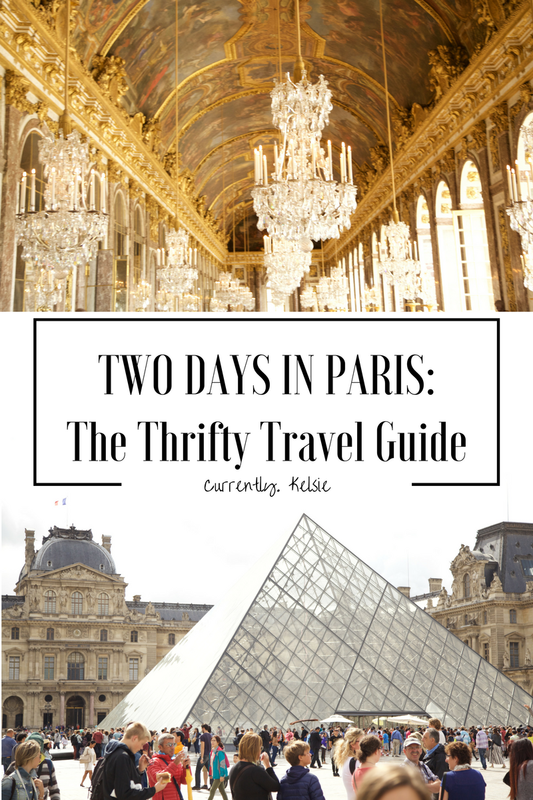 These are great tips for those who plans to go to paris! I love your idea about the hop on and off bus tour, gives one a huge flexibility! Thanks! We loved the hop on, hop off! We were in Paris a couple of years ago. We hit about the same attractions as you guys. We didn't see the palace so that will be a top priority on our next visit. It was pretty awesome to see- very crowded though! Great guide! I haven't made it to Paris yet (aside from a layover in the airport) but it's on the list! Their airport is crazy! Definitely check out the city! This looks so amazing! Paris is definitely high on my list of places to go! It is definitely a must visit! I'm going to be able to plan such an awesome European vacation with all your helpful tips! I'll definitely be going with Paris Pass. Yes please, I'm happy to help!! Great guide!! I have never been to Paris but I would love to visit one day. I heard the food is really good there! The food is super good, especially the crepes! Visit for sure! Wow! You guys packed in so much in just two days! I have a feeling if I ever end up there, it will be a quick trip en route to somewhere else. I'm intrigued by Paris, but Dan isn't so much. ;) I say, who can resist bread and cheese and coffee and chocolate and so much romance?? Great tips! I think it's a guy thing ha. It wasn't Aaron's fave. Thanks for reading! This gave me major wanderlust! I've always wanted to go to Paris to see the Palace of Versailles! Great pictures! Sounds like you got to see a lot in only a few days. Me and my mom did a similar trip from London to Paris many, many years ago. We also did the Big Bus Tour, which was really helpful. Really great advice for getting around...the Metro can be tricky for sure. Thanks, Shann! We definitely fit a lot in. Big Bus Tours are great- that's definitely a good way to know what you're looking at ha! Awe I adore Paris! These photos take me back! Love your thrifty tips here! Thanks, Rachel! It's a fun city! I always wait for their posts for they are very well explained and written! If you are an avid reader, you would love reading them as well!